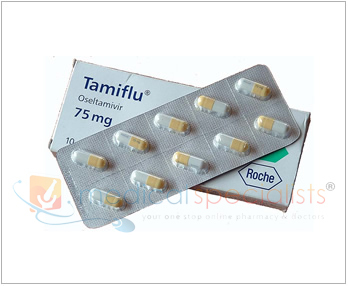 Tamiflu is a prescription only medicine for treating or preventing types of influenza such as swine flu. Tamiflu belongs to a group of medicines named “neuraminidase inhibitors”. These medicines prevent the influenza virus from spreading inside the body and so help to ease or prevent the symptoms arising from the influenza virus infection. Influenza is an infection caused by the influenza virus. The signs (symptoms) of influenza include the sudden onset of fever (more than 37.8°C), cough, runny or stuffy nose, headaches, muscle aches and often extreme fatigue. These symptoms may also be caused by infections other than influenza. True influenza infection only occurs during annual outbreaks (epidemics) at times when influenza viruses are spreading in the local community. Outside of the epidemic period, these symptoms will mainly be caused by a different type of infection or illness. Adolescents (13 to 17 years of age) and adults: For treatment of influenza take one capsule as soon as you get the prescription and then take one capsule twice a day (usually it is convenient to take one in the morning and one in the evening for five days). It is important to complete the whole 5 day course, even if you start to feel better quickly. 30 mg and 45 mg capsules can be used by adults and adolescents as an alternative to 75 mg capsules. Infants 1 year of age and older, and children 2 to 12 years of age: Tamiflu oral suspension or 30 mg and 45 mg capsules can be used instead. Children weighing more than 40 kg and who can swallow capsules may take Tamiflu 75 mg capsules twice daily for 5 days. Infants below 12 months of age: Limited pharmacokinetic and safety data are available for children less than 2 years of age. Pharmacokinetic modeling was undertaken using these data in addition to data from studies in adults and children older than 1 year of age. The results demonstrate that doses of 3 mg/kg twice daily for infants aged 3 to 12 months and 2.5 mg/kg twice daily for infants aged between 1 and 3 months provide exposures similar to those shown to be clinically efficacious in adults and children older than 1 year of age (see table below for weight-based dosing recommendations). There are currently no data available in infants less than 1 month of age using Tamiflu. Administration of Tamiflu to infants less than one year of age should be based upon the judgment of the physician after considering the potential benefit of treatment versus any potential risk to the infant. Tamiflu can also be used for prevention of influenza following exposure to an infected individual, such as family members. Adolescents (13 to 17 years of age) and adults: When used to prevent influenza following exposure to an infected individual, such as family members, Tamiflu should be taken once daily for 10 days. It is best to take this dose in the mornings with breakfast. Infants 1 year of age and older and children 2 to 12 years of age: Tamiflu oral suspension or 30 mg and 45 mg capsules can be used instead. Children weighing more than 40 kg and can swallow capsules may take Tamiflu 75 mg capsules once daily for 10 days. Administration of Tamiflu to infants less than one year of age should be based upon the judgment of the physician after considering the potential benefit of prophylaxis versus any potential risk to the infant. 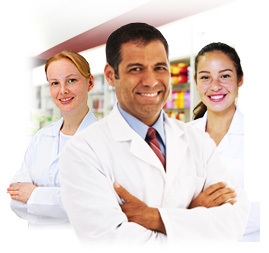 Where can I buy Tamiflu online? You can buy Tamiflu online with or without a prescription at Medical Specialists, after completing a simple online consultation. Just complete an online consultation by clicking the orange button above. 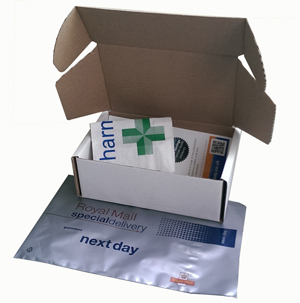 We are the UK’s leading supplier of influenza treatment, and Tamiflu for sale in the UK. For full patient information, please read or print out the leaflet provided at the bottom of this page about Tamiflu. There are no Side Effects when Tamiflu is discontinued prior to advice from your doctor. If Tamiflu is stopped earlier than your doctor told you, the symptoms of influenza may reoccur. 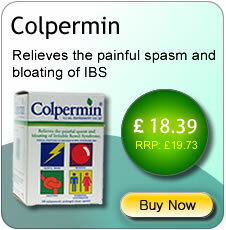 If you have any further questions on the use of this product, ask your doctor or pharmacist. Like all medicines, Tamiflu can cause Side Effects, although not everybody gets them. The most common Side Effects of Tamiflu are nausea, vomiting, diarrhoea, stomach ache and headache. These Side Effects mostly occur only after the first dose of the medicine and will usually stop as treatment continues. The frequency of these effects is reduced if the medicinal product is taken with food. Other less common Side Effects, which may also be caused by influenza, are upper abdominal fullness, bleeding in the gastrointestinal tract, bronchitis, upper respiratory tract infections, dizziness, tiredness, sleeping difficulties, skin reactions, mild to severe liver function disorders, visual disturbances and heart rhythm abnormalities. Influenza can be associated with a variety of neurologic and behavioural symptoms which can include events such as hallucinations, delirium, and abnormal behaviour, in some cases resulting in fatal outcomes. These events may occur in the setting of encephalitis or encephalopathy but can occur without obvious severe disease. During Tamiflu treatment, events like convulsions and delirium (including symptoms such as altered level of consciousness, confusion, abnormal behaviour, delusions, hallucinations, agitation, anxiety, nightmares) have been reported, in a very few cases resulting in accidental injury, in some instances with fatal outcome. These events were reported primarily among children and adolescents and often had an abrupt onset and rapid resolution. The contribution of Tamiflu to those events is unknown. Such neuropsychiatric events have also been reported in patients with influenza who were not taking Tamiflu. Other less common Side Effects, which may also be caused by influenza, are cough, nasal congestion, ear inflammation, inflammation of the lungs, sinusitis, bronchitis, existing asthma, nose bleeding, ear disorders, inflammation of the skin, swelling of the lymph nodes, conjunctivitis, visual disturbances and heart rhythm abnormalities. The reported Side Effects of Tamiflu when used for treatment of influenza in infants 6 to 12 months of age are similar to the Side Effects reported for older children (1 year and older). The reported Side Effects of Tamiflu when used for treatment of influenza in infants 1 to 6 months of age are similar to the Side Effects reported for infants 6 to 12 months of age and older children (1 year and older). There are no data available for the use of Tamiflu in infants less than 1 month of age. Please read the section above for your information. If you or your child are often sick, you should inform your doctor. You should also tell your doctor if the influenza symptoms get worse or the fever continues. If any of the Side Effects get serious, or if you notice any Side Effects not listed in this leaflet, tell your doctor or pharmacist. Tamiflu has been shown to have a minimal chance of negatively interacting with other medications. Your doctor or healthcare professional may recommend taking over–the–counter medications to reduce severity of symptoms while the antiviral action of Tamiflu takes effect on the flu virus. As with any medication, be sure to discuss with your doctor any over–the–counter or prescription medicines you are currently taking before beginning Tamiflu therapy. An intranasal flu vaccine like FluMist®* should not be given within 2 weeks before or 48 hours after taking Tamiflu, unless it is deemed appropriate by your doctor. Tamiflu is prescribed for treating adults and children 1 year and older with influenza (flu) whose symptoms started within the last day or two. Tamiflu can also reduce the chance of getting the flu in patients 1 year and older. Tamiflu is not a substitute for the annual flu vaccinations (you should still get the flu shot every year). Before taking Tamiflu, tell your doctor if you are pregnant or nursing, or if you have kidney disease, heart disease, respiratory disease, or other serious health conditions. Also, let your doctor know if you are taking any other medications or if you have received nasally administered influenza virus vaccine during the past two weeks. If you develop an allergic reaction or a severe rash, stop taking Tamiflu and contact your healthcare professional immediately, as it may be very serious. People with the flu, particularly children and adolescents, may be at an increased risk of self injury and confusion shortly after taking Tamiflu and should be closely monitored for signs of unusual behaviour. A healthcare professional should be contacted immediately if the patient taking Tamiflu shows any signs of unusual behaviour.